Height 5 feet 7 inches. Weight 154 lbs. Chest measurement 35-38 years. Complexion fair. Eyes grey. Hair brown. Sight & hearing both good. colour vision correct. Limbs well formed. Full & perfect movement of all joints. Chest well formed. Heart & lungs normal. Free from hernia, varicocele, varicose veins, haemorrhoids, invereate or contagious skin disease. Vaccinated. Good bodily & mental health. No slight defects. General Section, Row 138, Plot 134. William SIMMONS was in fact the youngest son of James SIMMONS and his wife, Eliza née WHITING. 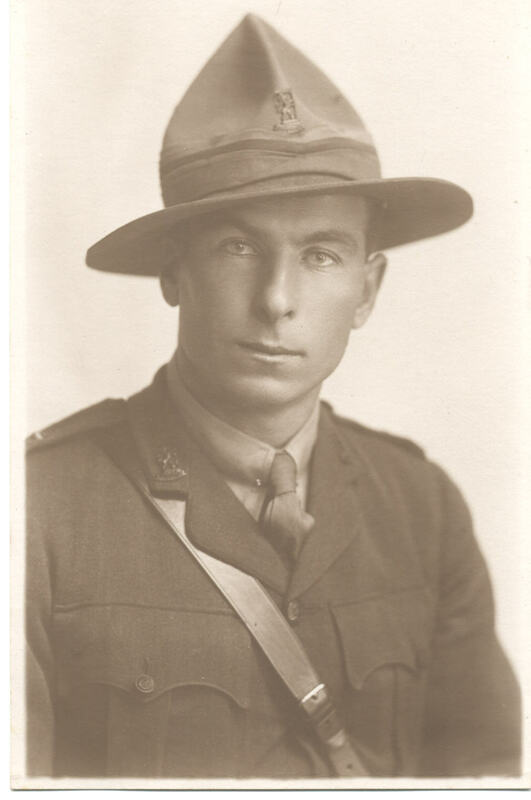 Therefore he was the brother of George Henry SIMMONS who died of disease in 1918.. William married Helen DANIEL on 16 September 1920 at "Kipilow", Kingsdown. William lived all his life in the Kingsdown district.